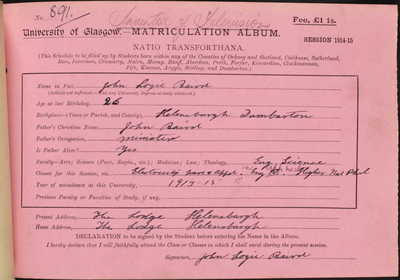 On leaving the University of Glasgow and having set up his own successful sales and marketing business, John Logie Baird moved, in 1922, to the south coast of England where he began his experiements on the transmission and reception of visual signals. 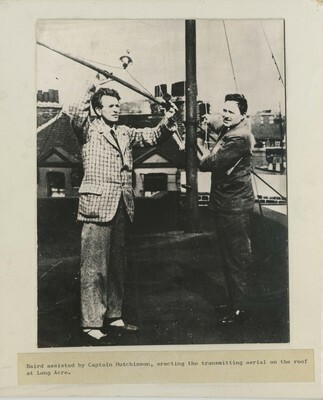 With little formal research training and no proper laboratory, Baird rented an attic and by 1924, he was able to transmit a flickering image across a few feet. In April of the following year, he gave his first public demonstration at Selfridge's Department Store in London but it was at its first scientific launch to members of the Royal Institution on 26 January 1926 that the system was hailed as a great achievement. 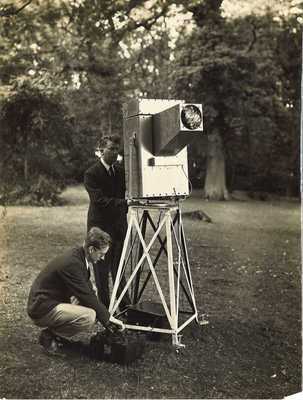 The demonstration of this viable television system using mechanical picture scanning with electronic amplification at the transmitter and at the receiver was subsequently developed by inventors all over the world. His talent for innovation led him to many discoveries and system refinements. He worked particularly hard to anticipate and patent each possible application of his 'Televisor'. 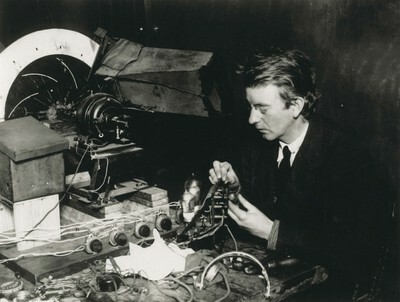 The most significant commercial application of his work was delivered on 30 September 1929 when the BBC transmitted its first experimental television broadcast, using the Baird 30-line system and then on 22 August 1932, when they used his system for the first UK public television service. Baird continued his research throughout his life, accumulating 178 patents. His work has continued to influence the field. The origins of 21st century 3D television using polarized glasses can be traced to this outstanding Scottish inventor. BBC Historic Figures site. 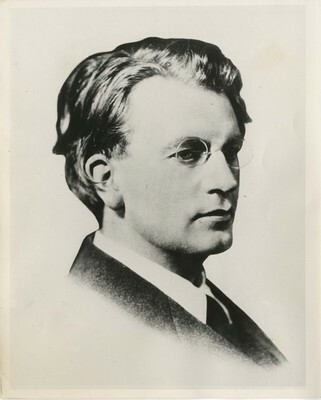 John Logie Baird (1888 - 1946). Baird, Malcolm, ed. 2004. Television and me: The memoirs of John Logie Baird. Edinburgh: Mercat Press. 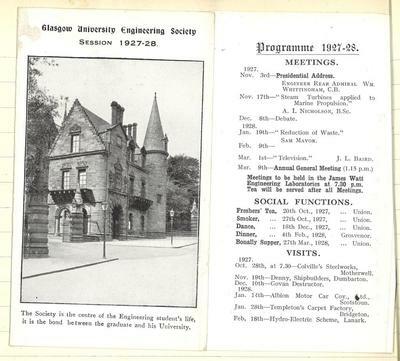 World Changing Project, "Inventing television," in University of Glasgow World Changing (University of Glasgow, 2010); http://www.worldchanging.glasgow.ac.uk/article/?id=20 (accessed April 26, 2019). World Changing Project. "Inventing television." In University of Glasgow World Changing. University of Glasgow, 2010. http://www.worldchanging.glasgow.ac.uk/article/?id=20 (accessed April 26, 2019). World Changing Project. "Inventing television." University of Glasgow World Changing. University of Glasgow, 2010. 26 April 2019 <http://www.worldchanging.glasgow.ac.uk/article/?id=20>.